This name uses Eastern Slavic naming customs; the patronymic is Romanovna and the family name is Makarova. Makarova was born in Leningrad in the Russian Soviet Federative Socialist Republic of the USSR. At the age of 12, she auditioned for the Leningrad Choreographic School (formerly the Imperial Ballet School), and was accepted although most students join the school at the age of 9. Makarova was a permanent member of the Kirov Ballet in Leningrad from 1956 to 1970, achieving prima ballerina status during the 1960s. She defected to the West in 1970 while on tour with the Kirov in London. Soon after defecting, Makarova began performing with the American Ballet Theatre in New York City and the Royal Ballet in London. When she first arrived in the West, Makarova was eager to expand her choreography by dancing ballets by modern choreographers. At the same time, she remained most identified with classical roles such as Odette/Odile in Swan Lake and Giselle. In December 1975, she and her dance partner Mikhail Baryshnikov featured prominently in an episode of the BBC television series Arena. She was featured in the 1976 live American Ballet Theatre production of Swan Lake, simulcast from Lincoln Center on both PBS and NPR. When ABT artistic director Luica Chase stepped down, both Makarova and Baryshnikov applied. After the company went with Baryshnikov, she left for the Royal Ballet of London. In 1976, Makarova married industrialist Edward Karkar; the couple have a son, Andrei. Karkar died December 22, 2013 at the age of 81. Janet Sassoon said the following about Makarova, "When I began teaching in San Francisco, through Madam Bali, I got to work with all these great Russian first dancers when they were there. So I got Natalia (Natasha) Makarova, a prima ballerina assoluta. There was only one prima ballerina assoluta up until the time she danced. And here I had her in my hands for five months after the birth of her child!" American Ballet Theatre: Lilac Garden; Dark Elegies; Romeo & Juliet & Pillar of Fire; Theme & Variations & Apollo; La Bayadère; Kingdom of the Shades; Coppelia; Voluntaries; La fille mal gardée; La Sylphide; Don Quixote; Nutcracker; Raymonda Act 3; Contredances; Sacre du Printemps (Tetley); Firebird; Concerto; Giselle; Swan Lake; Romeo & Juliet (MacMillan); Sleeping Beauty, Les Sylphides, Other Dances; Epilogue; Miraculous Mandarin; Pas de Quatre; The River; Études; Romeo & Juliet Pas de Deux (Tchernishov); Desir & Wild Boy. Royal Ballet: - Manon; Song of the Earth; A Month in the Country; Concerto; Cinderella; Voluntaries; Dances at a Gathering; Serenade; Elite Syncopations; Concerto; Checkmate; Les Biches; Kenneth MacMillan's Romeo and Juliet; Swan Lake, Giselle, The Sleeping Beauty, Les Sylphides, Van Manen’s Adagio Hammerklavier; MacMillan's Pas de Deux and Ashton's Dream Pas de Deux. As Guest Artist with ballet companies throughout the world her repertoire included: the classical repertoire (Giselle, Swan Lake, Les Sylphides, La Sylphide) as well as Onegin (Cranko); Notre Dame de Paris, Carmen, Proust, Le Jeune Homme et la Mort (Petit); Romeo and Juliet (Cranko), Swan Lake (Cranko), Neumeier's Illusions - Like Swan Lake 2nd Act, Bach Sonata (Bejart); Nutcracker (Neumeier); Romeo & Juliet (full-length version Tchernishov); Le Rossignol (Ashton); Rosalinda (Hynd); Tchaikovsky Pas de Deux (Balanchine); Apparitions (Ashton); Afternoon of a Faun (Robbins); Meditation (Haigen) The Real McCoy (Feld) The Lesson (Flindt), The Toreador (Bourneville); Dying Swan; Corsaire Pas de Deux & Don Quixote Pas de Deux. 1976 – Swan Lake with Ivan Nagy at the Metropolitan Opera House – Live from Lincoln Center – American Ballet Theatre. 1976 – Don Quixote Pas de deux & Giselle Act 2 (Partner Baryshnikov) BBC TV London. 1978 – Don Quixote Pas de Deux with Fernando Bujones at the Metropolitan Opera House – Live From Lincoln Center – American Ballet Theatre. 1985 – American Ballet Theater in San Francisco– National Video Corp.
1988 – Romeo & Juliet (MacMillan) with Kevin Mckenzie at the Metropolitan Opera House – Live from Lincoln Center – American Ballet Theatre. 2007 – La Bayadère – Natalia Makarova’s production for La Scala Ballet, Milan. 2009 – La Bayadère – Natalia Makarova’s production for the Royal Ballet, Covent Garden, London. ↑ Sarah Kaufman (30 November 2012). "Ballerina Natalia Makarova: 'Being Spontaneous its What Saved Me'". The Washington Post. ↑ "Natalia Makarova profile". Encyclopædia Britannica. Encyclopædia Britannica Online. 2008. Retrieved 3 July 2008. ↑ "Biography: Natalia Makarova". American Ballet Theatre. 2007. Retrieved 3 July 2008. ↑ Brett Zongker (2 December 2012). "David Letterman, Dustin Hoffman, Led Zeppelin among 7 receiving Kennedy Center Honors in DC". Washington Post. Associated Press. Retrieved 2 December 2012. ↑ "Alors que le pays est en crise, le Ballet national d'Ukraine est de passage à Montréal". Radio-Canada. 19 February 2014. Retrieved 13 May 2015. 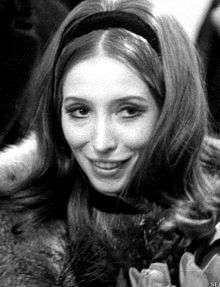 Makarova, Natalia (1979). A Dance Autobiography. New York: Alfred A. Knopf. ISBN 0-394-50141-1. Austin, Richard (1974). The Ballerina. London: Vision Press Limited. Zozulina, Natalia (1990). Natalia Makarova - 18 Years Later. Leningrad. Makarova, Natalia (1994). Great Railway Journeys: St Petersburg to Tashkent. London: BBC Books.